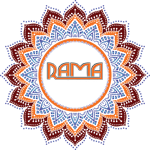 At Rama Events, we also provide our add-on services to jazz up your events with our a hi-tech, modernized, fully digital, classy music with quality sound and performance. The awesome music by the DJ along with our updated equipments will add life to your events. Whether it’s a wedding, corporate party, or a charity event they all need music to help create the atmosphere, and a professional DJ makes all the difference. We hire only the best DJs who not only know and love music; but put their heart and soul into each event to make sure that you and your guests have a great time.